Land Trust sites across the country are taking part in Keep Britain Tidy's campaign to Clean For The Queen to encourage people to love where they live and clean up their communities. A litter pick of the playground, road verges and woodland surrounding Seeds Plantation, Warrington is taking place on Saturday 5th March between 10.30am – 12 noon. All are welcome, whatever time you can spare! Please bring your gloves, appropriate clothing and a pair of sturdy boots and collection bags, litter-pickers and tabards will be provided. To find out more and to register your attendance, please contact David Parr, david.parr@pamarco.com Tel: 07711 008809. As part of Community Payback and in preparation for the opening of the site and plans to install cycle and footpath in this scheduled ancient monument, the first stage of the clean up of the Old Courthouse site at Port Sunlight River Park took place on 13th February. Another session is due to happen on 20th February with the final push taking place on 4th March with a corporate team from local business Vauxhall Motors aiming to fill a skip to remove all the waste from the site. Between 10am – 2pm on Friday 4th March, a group of volunteers at Beam Parklands will be having a litter pick and tidy up of the park. This event is fully booked which is great news as we are hoping to see great improvements in the park which will hopefully encourage more people to visit and enjoy the space on a regular basis. Everyone is invited to Rabbit Ings Country Park between 10am – 11.30am on Sunday 13th March to help tidy up and pick litter. All equipment will be provided and please wear appropriate footwear and clothing. Please contact Mick for further details. Warren House Park are running a children’s litterpick during the Easter holidays between 11am – 1pm on Thursday 24th March. Please contact Catherine if you’d like to take part. Come and join local volunteers at the Green Gym session at Monkton Community Woodland on Friday 4th March between 10am – 12pm. As well as helping to maintain and improve the site, volunteers will also be picking litter. If you’d like to join in, contact Tony or call 0191 4281144 . All equipment will be provided and please wear appropriate footwear and clothing. You will need to fill in a simple form and a undergo a quick health and safety check but all volunteers welcome! 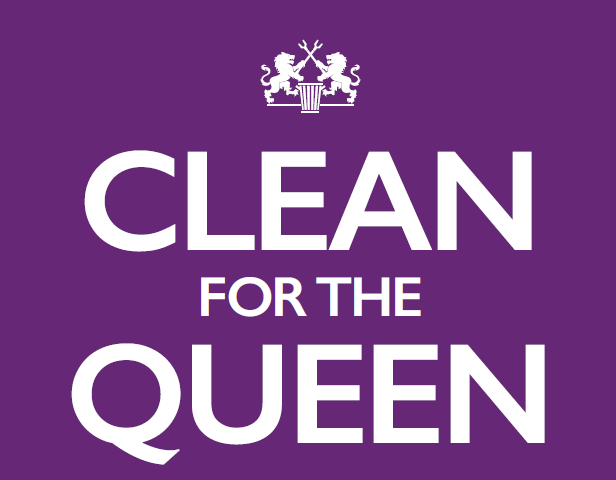 Keep checking this page for further updates about how we’re taking part in Clean for The Queen and helping to keep our green spaces looking their best. Alternatively, you can follow us on Facebook or Twitter for the latest updates from the campaign.